Holiday foods become our traditions. Passed down from generation to generation, they have a way of stirring memories and bringing people back into the conversation. There’s also a joy in creating new traditions. Whether it’s a new cookie for a cookie exchange, an unexpected vintage cheddar on the cheeseboard, or a surprising after-dinner drink; we hope that some of our specially created recipes and savings will bring something unforgettable to your holiday. Finally, a rich and delicious holiday cookie that everyone can enjoy. Crisp on the outside and fudgy within, this Gluten-Free Chocolate Pecan Cottage Cheese Cookie recipe is an exclusive from our cookie contest. So you get to try them first. This treat is for adults only. 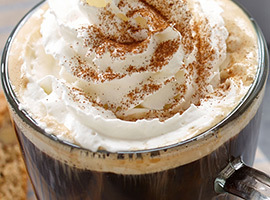 Our Real Coconut Whipped Cream comes together with your favourite liqueur in this uniquely delicious after-dinner drink. Unexpected and sophisticated, our Nutty Coconut Coffee is the perfect end to a perfect holiday meal. 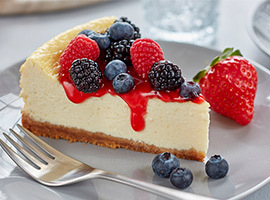 Our Smooth and Sweet Cheesecake features Nordica Smooth, and trims over half the fat from a traditionally prepared cheesecake. Always creamy and delicious, it’s a basic recipe that can be reinvented in multiple ways. Chocolate, mocha, citrus, or fresh fruit - the choice is yours. Cookies & Milk, together at last. 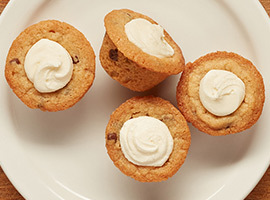 This unique cookie is inspired by the trend of 'cookies and milk shots' but with an airy buttercream that can be made ahead. Santa’s Cookies & Milk Cups are a special treat to put out for Christmas Eve. Our Real Dark Chocolate Caramel Whipped Cream is back. 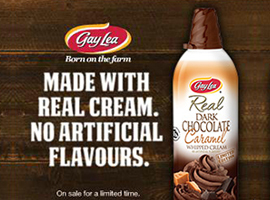 Made with real cocoa beans and natural caramel flavour, it's our real whipped cream with a dark and delicious twist. Add decadence to desserts, ice cream, and hot drinks. Available until the end of December. Our popular cookie contest, easy as pie. Our famous cookie contest has returned! 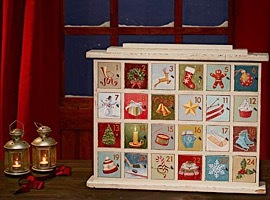 Play today, and every day until December 24th to unlock an exclusive new cookie recipe created by our bakers. 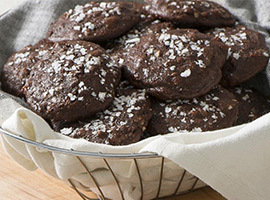 You can share our recipes, and even win freshly-baked cookies delivered to your door. Sweet! Click below to get started. 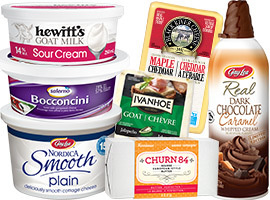 Whether it’s butter for baking, cheese for entertaining, or whipped cream for your pie, let us help with $1.00 off any of our products.